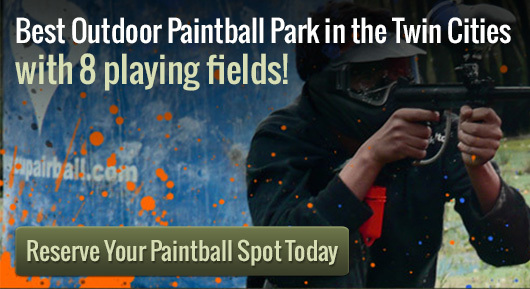 Action Packed Paintball rents out paintball supplies and our Minneapolis location has the best Pro Shop in the state. Paintball is a fantastic game for people who are looking to get into something fun and active. It can be an excellent means of friends and family to bond with one another by working as a team, or shooting each other to relieve stress. It can be played either outdoors or indoors, so weather does not have to be too much of a factor. Many places that have paintball supplies also have leagues and schedules for when matches are occurring. There is usually a good time for anyone to get involved in the game. Thankfully, paintball supplies are not prohibitively expensive to pick up. The most important bit of equipment is obvious, the paintball gun. Known as markers, they come in a variety of sizes and styles with a number of different delivery mechanisms. Care should be taken in purchasing a gun that is safest to use and also provides plenty of power. People who maintain supply stores are quite knowledgeable and are more than happy to run down the different types of markets available for purchase. Protective equipment is just as valuable when it comes to paintball supplies. Eye protection is required for getting into a match at every location. Head protection is also highly recommended for preventing potential concussion issues. Heavy clothing is suitable to wear to help reduce the number of bruises earned while playing paintball. Gloves and solid boots can do a lot to help ensure an extremely comfortable experience. With a little bit of research, anyone can get in on this amazingly enjoyable activity called paintball.